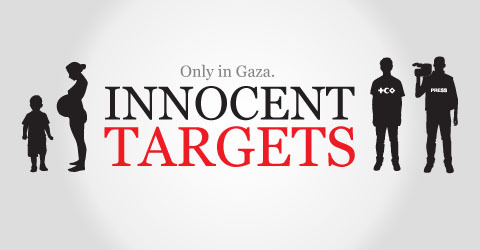 Innocent Targets | If no one’s doing anything about it, let’s promote it! NEW YORK (CBS) – In a swift about face from her views as New York’s senator, Secretary of State Hillary Clinton is now hammering Israel over its treatment of Palestinians in Gaza. As First Lady, Clinton raised eyebrows when she kissed Suha Arafat. Since she was then seeking a Senate seat the resulting brouhaha caused her to “re-think” her positions. “I’m a very strong supporter of Israel,” Clinton said back in February 2000. On Thursday, as Secretary of State she had yet another about face in the form of angry messages demanding Israel speed up aid to Gaza. Jewish leaders are furious. “I am very surprised, frankly, at this statement from the United States government and from the secretary of state,” said Mortimer Zuckerman, publisher of the New York Daily News and member of the NYC Jewish Community Relations Council. Clinton’s decision to hammer Israel comes as the Clintons and President Barack Obama are planning to give the Palestinians $900 million toward the rebuilding of Gaza in the wake of the Israeli offensive that was sparked by Hamas rocket fire. “We are working across the government to see what our approach will be,” Clinton said. This blog is about promoting the cause. If no one wants to do anything about it, the best way to create awareness is to promote more about it. Then maybe, just maybe people will begin to open their eyes. Some people say that what’s happening on Gaza is an atrocity and a war crime committed by the Israeli government. And some choose to believe the opposite. If you are not aware of the current Middle East conflict, keep checking this site in the future, as more and more information and facts about this situation will be updated here.